It's Holiday season and the time to hang out with friends and family and EAT! It's also the time to pack in those holiday pounds. Instead of snacking on unhealthy snack why not try healthy snack options? That being said here are three healthy snacking options that are tasty crowd pleasers. Ditch those fatty potato chips! Instead of potato chips and sour cream dip we suggest swapping them out for Pasta Chips! Why? Pasta Chips are baked (never fried) and known as the skinny chip with only 120 calories per serving. A variety of flavors will keep everyone happy. There is garlic and olive oil and Mediterranean sea salt which are always party favorites. 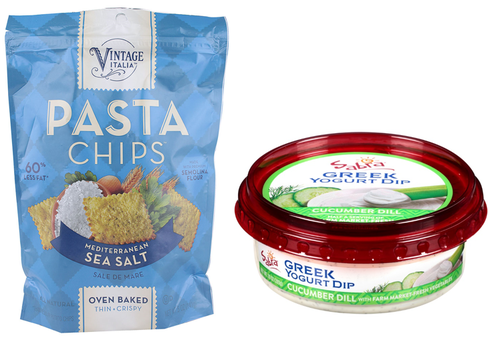 Sabra’s Greek Yogurt Dip is a low-fat creamy dip that easily replaces sour cream with half the calories (40 calories for 2 tablespoons) and add a bounty of flavor to all of your snacks and appetizers. 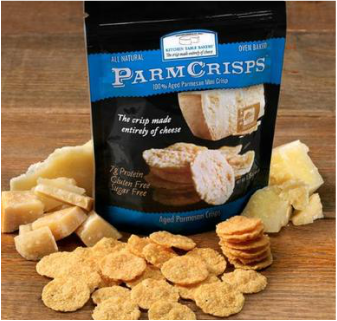 ParmCrisps are your new best friend! They are make entirely of cheese and lots of crunch! They are all natural and oven baked to bring you AMAZING taste. Not only are they delicious but they are also healthy with over 7g of protein and they are both sugar and gluten free and come in a wide variety of flavors!